Doctoral student Leslie L. Randall poses outside Wilson-Short Hall on Wednesday, July 20, 2016 on the Washington State University Pullman campus. 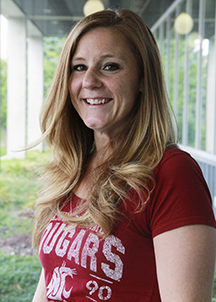 Johnson & Johnson, a longtime advocate for nurses and the nursing profession, has awarded one WSU College of Nursing PhD student with a $10,000 scholarship. 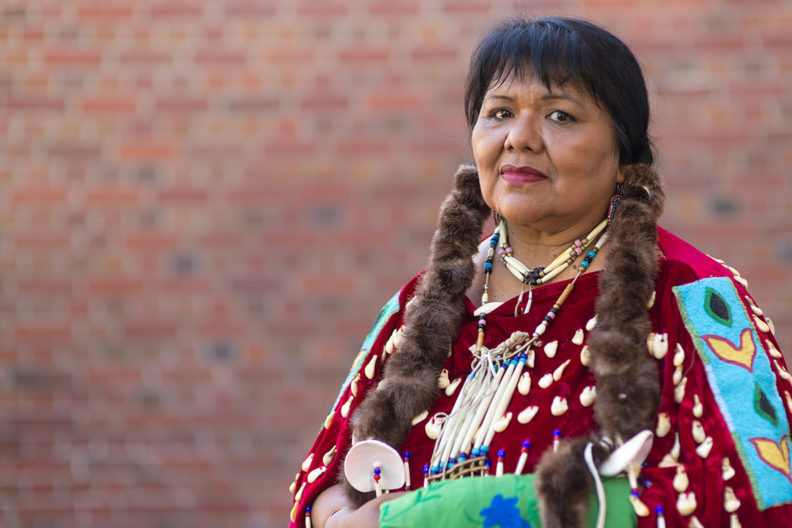 The scholarship is designated for an American Indian and Alaska Native (AIAN) nursing scholar in an effort to increase their representation among the nursing workforce. Leslie Randall, a PhD candidate, received the scholarship. 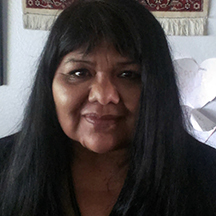 Randall is an enrolled member of the Nez Perce tribe from Idaho and began the PhD program at WSU in 2011. “There are so few AIAN nurses compared to other races. We need our AIAN providers and nurses back home where they understand the culture and the population,” Randall said. According to the American Association of Colleges of Nursing (AACN), nurses from minority backgrounds represent 19% of the Registered Nurse (RN) workforce, with only 1% AIAN. In April 2014, the CDC reported a 46% higher death rate for AIAN people, along with a 50% higher suicide rate than Caucasians. The need to attract diverse nursing students is paralleled by the need to recruit faculty from minority populations. Few minority nurses with advanced degrees pursue faculty careers. According to 2012 data from AACN’s annual survey, only 12.3% of full-time nursing school faculty are minorities, and only 5.4% are male. WSU College of Nursing is uniquely poised to support AIAN PhD scholars and help address the shortage of AIAN RNs and doctoral-prepared nurses. With only 20 PhD in Nursing AIAN scholars in the U.S., two future scholars are currently enrolled at WSU College of Nursing. The College has active HRSA funding based on previously documented success to support AIAN students in pursuit of their undergraduate and graduate nursing degrees. WSU also has assets that allow us to recruit and retain diverse, under-represented students to our PhD nursing program. Since 1997, WSU has had a Memo of Understanding (MOU) with 10 tribes from the Pacific Northwest to strengthen our relationship with the AIAN people in the region. The MOU helped establish an AIAN advisory board to the WSU President; a Plateau Center to provide outreach to AIAN students; and complements a 1994 state law guaranteeing that AIAN students whose customary and legal boundaries include portions of Washington do not pay out-of-state tuition. Finally, the J & J scholarship aligns with the WSU’s Research Office Grand Challenges, which outline university research priorities and strengths. The scholarship supports two of the five grand challenges including sustaining health, which aims to pursue healthier people and communities, and opportunity and equity, which aims to support promoting an informed and equitable society and advancing social justice.